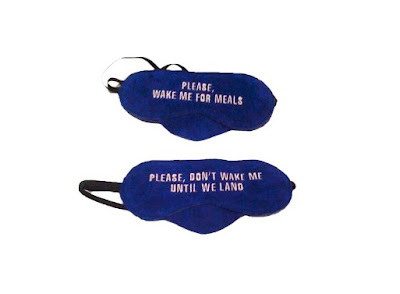 This is a genius idea: a double-sided sleep mask that lets flight attendants know whether you want to be left alone to sleep or awakened for meals. With all of the traveling I've been doing lately, I feel like this would have come in handy many times over. Via Better Living Through Design.